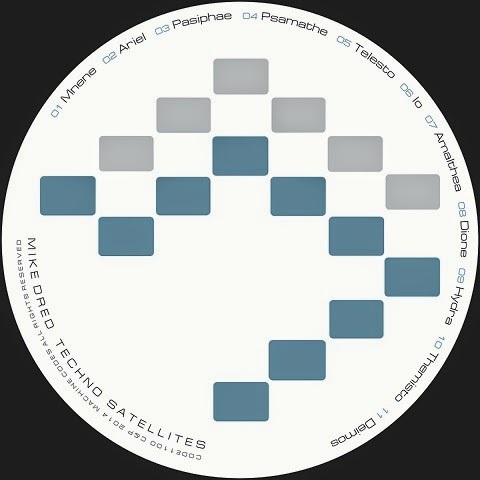 Without any promo drumming, Michael Cullan aka Mike Dred has dropped a 11-track acid album “Techno Satellites”, out digitally on Dred’s own Machine Codes label. Dred has been part of techno’s evolution for over 20 years and produced several memorable tracks like “Macrocosm”, still one of my fave acid excursions. Some of his glitchy IDM experiments under the Kosmik Kommando alias left me a bit puzzled but the new album shows again Dred’s wealth of production skills. Perhaps 70 minutes of acid in one go is too exhausting experience but the selection allows to find own favorites. Mine are “Pasiphaë” with biting sawtooth sequence, then bittersweet rave-age groover “Telesto” and fast lane experience “Hydra”. “Techno Satellites” is currently available from Dred’s Bandcamp page and the vinyl version will depend on expected demand.